 U.S. to appeal health ruling - ONRAD, Inc. The Wall Street Journal | December 15 – The Justice Department said it would appeal a decision invalidating a core provision of the federal health-care overhaul, the next skirmish in a constitutional struggle likely to reach the Supreme Court before the 2012 presidential election. On Monday, a federal district judge in Richmond, Va., ruled that Congress lacked authority to compel individuals to carry health coverage. If ultimately upheld, the decision would undercut a core feature of the national insurance market envisioned by the Patient Protection and Affordable Care Act. The Obama administration is bracing for another possible setback in Pensacola, Fla. A federal district judge there is hearing a challenge to the law brought by a group of mostly Republican state attorneys general and governors. Arguments in that case are set for Thursday. The government has prevailed in other cases challenging the act. Plaintiffs opposed to the law who lost at federal district courts in Detroit, Lynchburg, Va., and elsewhere already have filed their own appeals.